The Natural Stone Council (NSC) is a collaboration of businesses and trade associations that have come together to promote the use of Genuine Stone in commercial and residential applications. By pooling resources, their goal is to increase the understanding of, preference for, and consumption of these natural products. Trade associations affiliated with the NSC include Allied Stone Industries, Elberton Granite Association, Indiana Limestone Institute, Natural Stone Institute, National Building Granite Quarries Association, National Slate Association, New York State Bluestone Association, Pennsylvania Bluestone Association, and the Natural Stone Alliance. The Natural Stone Council is committed to supporting sustainable initiatives and innovations at all levels of the production of Genuine Stone® products. As such, the NSC has established a Sustainability Committee made up of key industry members to elevate the issue of sustainability within the industry and provide a body responsible for planning and implementing relevant initiatives. In 2007, the NSC Sustainability Committee engaged in a partnership with the Center for Clean Products (CCP) at the University of Tennessee to assess current industry operations relating to dimensional stone production. In 2011, the NSC Sub-committee further reviewed and updated this document. The best practice identified and presented in this document is a direct result of the NSC and CCP’s efforts to identify and improve the environmental profile of the natural stone industry. Water management is integral to achieving sustainable practices and is increasingly becoming a high priority in any industry. This is due to new and existing water resources becoming more scarce in many regions throughout the world; per capita water consumption is increasing annually; water and sewer rates have increased significantly over the last decade (100-400%); and new water supply options are too costly or even unavailable. There is also the growing recognition of the water, energy, and operations and maintenance savings that can be realized through the implementation of water saving strategies. Multiple quarry and fabrication processes implement water, often in continuous streams. In fact, it is a part of almost every step in the extraction, cutting, and finishing of dimensional stone products and is also applied to control particulates (e.g., dust and potentially silica) resulting from daily operations. A 2008 survey of the natural stone industry (referred to herein as the “2008 benchmarking study”) indicated that quarries consume an average of approximately 21 gallons of water per day for every net cubic foot of stone extracted, while processors average about 100 gallons per day per net cubic foot of stone produced.1 It is clear that because of its considerable role in natural stone production coupled with the water resource challenges facing the world today, efficient use of water is essential. Water is used in extraction chiefly to keep machines cool. For blades and wires (both diamond and metal), water is directly applied at the stone-saw interface in order to provide lubrication and to reduce heat that results from friction; sufficiently-elevated temperature can cause major machine and material damage. High-pressure water and hydraulic splitters, also used to extract stone, are both water intensive, as water supplies the force for the removal of the material. 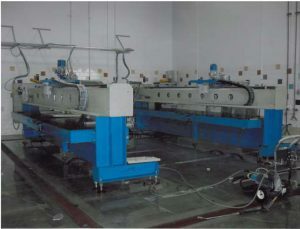 In finishing processes, water can be used to shape and blast the stone and is again necessary for cooling purposes when certain tools are implemented, such as a CNC (computer numerically controlled) drill. Rinsing of the final product may also be necessary to remove particulates. Quarry operations can generate a significant amount of dust on a daily basis as a result of cutting processes and vehicles traveling around the quarry site. Depending on the composition of the stone, silica—may be found in the particulates, sourcing from the stone itself, and is known to cause silicosis with chronic exposure (Simcox et al. 1999). In order to mitigate airborne particulates, the National Institute for Occupational Safety and Health recommends, among other strategies, the use of wet processes (NIOSH 1992). For stone operations, a mist of water can be sprayed above the cutting area and on dirt roads. Depending on the climate, road wetting may occur multiple times per day. Use low, or ultra low, water-efficient plumbing fixtures and integrate other water-saving devices into all structures and buildings. Eliminate leaks; caulk around pipes and plumbing fixtures; conduct annual checks of hoses and pipes. Water management should be a priority at the quarry and processing facility for both economic and environmental reasons. Each site should have in place a strategy that includes four aspects: water use minimization, wastewater collection and treatment, water reuse, and sludge management. Methods to be successful in these categories are discussed below. Several methods exist for streamlining the use of water in quarry sites and production facilities, including modification to site landscape and investment in efficient equipment. Reseeding the quarry site with native grasses, indigenous and drought resistant plants reduces the need for dust suppression as a greater amount of water is able to be trapped in the planted, denser soil. A second benefit to this strategy is that maintaining vegetation while the quarry is active eliminates the future need to dedicate finances toward this aspect of site closure and reclamation while also providing vegetation for wildlife. Reduce evaporation through controlled scheduled irrigation at dawn and dusk. Installing geotextiles3 under plantings not only ensures hardier vegetation but also significantly moister soil. Increased retention of soil water results in less dust and therefore less water for dust mitigation. Building interceptor dykes, swales, and berms helps to direct stormwater and process water runoff. In fact, runoff can be directed to drier areas (to minimize dust) or into retention basins, collecting water for future use. Capture and use condensate from HVAC systems. Updating equipment can greatly reduce water consumption. Pumps and pipes wear with age, leading to wasted water via material deficiencies. Aged machines that are used in cutting and extracting can also waste water by overheating too easily or by creating more dust than newer technologies. The use of automated systems—including variable-speed pumps—results in streamlined, consistently lowered use of water in facilities. Primary water treatment (i.e., solids separation) and reuse at the quarry or processing facility can be accomplished in a number of ways. Filter presses, cyclone separators, sedimentation systems, retention basins, and combinations of these systems are all viable solutions. In selecting an appropriate scheme for your site, several factors must be considered, including water demand, physical limitations, time, and climate. Facilities that have a high water demand or large out fluxes of water may find that settlement ponds are most effective at supplying the needed water as well as providing a sufficient storage area for effluent. 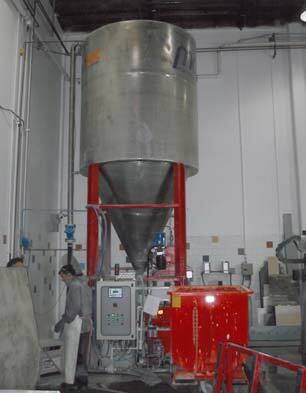 A filter press or cyclone separator alone may not be as capable of handling especially high flow rates. If space is limited or other geographic obstacles exist, filter presses, inclined plate clarifiers, or cyclone separators (hydroclones) may be the best option for filtration followed by storage in a tank or basin. These machines typically utilize a smaller amount of area than a series of ponds and avoid the need for excavation as they are installed on the ground surface. When treatment time is a factor, filter presses, inclined plate clarifiers, or hydroclones should be chosen over a sedimentation pond, as the latter may require a relatively long filtration process. However, if sufficient water is stored in a final retention basin, time may not be an issue. Climate is an important factor when the site is located in an area prone to frequent heavy rainfall events. In this case, the work of a settlement system may be reversed routinely by large influxes of turbulent runoff. However, constructing a series of ponds coupled with a sufficient and strategic drainage network may confine these effects to the first basin. Sedimentation basins—such as settlement ponds or above-ground containment systems—are highlighted here as they were reported in the 2008 benchmarking study by both quarries and processing facilities to be the most commonly-used form of water treatment on-site. Additionally, more than half of these sites reported that the majority of their water is reused after moving through the settlement system.4 For assistance with alternative treatment options, please contact a credible engineering firm with expertise in this area. Settlement systems provide a relatively easy and effective method for collecting, treating, and reusing water at a quarry or processing facility. This is in part due to the fact that natural stone operations have little need for potable water; depending on the application, the water may need only to have the sediment removed. As such, stormwater runoff, dewatering water, and process washwater can all be collected for treatment and subsequent recirculation. Figure 2. Simple settling pond system. 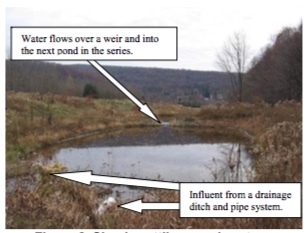 Figure 2 illustrates a basic settlement pond system. Spent water enters on the left, slowly flows through the basin or series of basins [typically at a maximum rate of 1ft/second (Linsley et al. 1992)] and is pumped from the end of the system for reuse. As the water moves through the ponds, particles settle to the basin floor at rates that are a function of each particle’s mass. Well-designed systems are capable of removing up to 90% of the suspended sediment (Linsley et al. 1992). For further details regarding settling pond construction, please refer to the USDA Agricultural Handbook 590: Ponds—Planning, Design, Construction. Alternatively, contact an engineering firm with expertise in this area for assistance. Further remediation of the water can be performed with an automated flocculent injection system. Flocculation is the process by which fines (i.e., relatively small particles) are induced—through the addition of an appropriate chemical solution—to clump together into masses referred to as floc. The floc is manually or mechanically filtered from the water, resulting in an efficient and effective system of particulate removal, particularly for very small-diameter particles. Other methods of filtration include geotextiles and filter devices installed in a series of discharge points within the water’s flowpath. Sludge accumulated in a settlement pond system, hydroclone, filter press, or inclined plate clarifier must also be disposed of properly. In the case of a pond system, the material must first be extracted and dewatered. The former can be achieved with draglines, a vacuum/pumping system, or scooping machinery, such as a backhoe. Several options are available for dewatering pond sludge, as well. A centrifuge or filter press can be implemented, but to conserve energy, gravity is recommended. With regard to the latter, the sludge can be placed in a hopper (or even an inactive quarry hole) until it dries. The draining water should be directed back into the settlement pond system. Several uses for sludge exist both on- and off-site. At the quarry, dewatered sludge may be used to build light-duty roads, coupled with vegetation to establish ditches or berms to collect and direct runoff, or laid as a liner in the construction of new settlement ponds. Agricultural operations may utilize sludge as a type of soil fertilizer, and public or private groups can you the material in road construction as a binder for gravel. In any case, the material does have multiple applications that will prevent the need for its landfill. Once the water has been treated, it can be directed back through operations for washing, dust suppression, extraction and cutting, finishing, and irrigation. It may also be possible to use this water in a site greywater system, such as for toilet water. Generation of revenue: Collected sludge may be sold for use in road construction and agricultural applications, thereby generating a new form of revenue. Reduction in water expenses: Collecting, treating, and reusing rainwater and runoff lowers the expense of water and sewer bills. Avoidance of well costs: Expenditures for well maintenance and upgrades are avoided. Reduction in energy costs: Retention ponds facilitate a surface water supply, thereby eliminating the expense of pumping from a deep groundwater well. Ease of monitoring: Settlement and retention ponds facilitate water monitoring, which especially aids NPDES-permitted facilities. Assurance of water supply: Retention ponds can act as a storage area for water generated from quarry dewatering, rainwater, and runoff. Elimination of stress on local water supply: By collecting and retaining water, stress on the local water table and drinking water supply is avoided. Enhancement of company reputation: Proactive water management is viewed positively by the public. Water is a finite resource, and because the fabrication of GenuineStone® products requires this resource, proper water management is critical to sustain stone production operations. The best practices identified in this document provide options in which a quarry or processing facility can reduce its overall daily water demand. Implementation of even a few of these suggestions can potentially result in cost savings, in addition to an improved environmental profile. For questions regarding the content of this brochure or to learn more about the Natural Stone Council’s sustainability efforts, please visit the Natural Stone Council website at www.naturalstonecouncil.org or contact the NSC Executive Director, Duke Pointer, by email. 1 This data was collected during the benchmarking initiative of the natural stone industry conducted by the University of Tennessee Center for Clean Products in the spring of 2008. 2 Pavement should be minimized in order to minimize the environmental footprint of the site, specifically with regard to material consumption. 3 Geotextiles are woven or non-woven materials used to improve sediment structure. As such, geotextiles can be used for water filtration and retention, erosion control, and particle/aggregate separation. 4 This data was collected during the benchmarking initiative of the natural stone industry conducted by the University of Tennessee Center for Clean Products in the spring of 2008. Linsley, R.K., Franzini, J.B., Freyberg, D.L., and G. Tchobanoglous. 1992. Water-resources engineering. 4th ed. McGraw-Hill: Singapore, 340. National Institute for Occupational Safety and Health (NIOSH). 1992. NIOSH Alert—Preventing Silicoisis and Deaths in Rock Drillers. DHHS (NIOSH) Pub. No. 92-107. NIOSH, Cincinnati, OH. Simcox, N.J., Lofgren, D., Leons, J., and J. Camp. 1999. Silica exposure during granite countertop fabrication. Applied Occupational and Environmental Hygiene 14 (9): 577-582. In 2006, Dennett Tile & Stone, Inc. set out to create a new fabrication facility in Santa Rosa, California that not only maximized production and economic efficiency but minimized its environmental footprint. Among the many challenges faced was water conservation. In fact, the designer, Rick Stenberg of Stenberg Consulting affirms, “Conserving water was by far the biggest obstacle”. Nevertheless, a bit of ingenuity proved that it could be accomplished! Silo where flocculation and particle separation occur. The red apparatus to the right is the filter press. 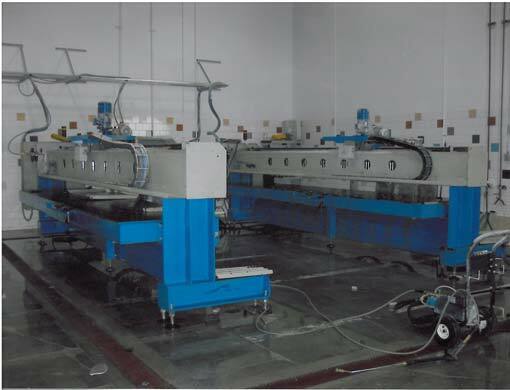 Remediated water is returned to the processing area and reused in such applications as the polishing stage pictured here. The water system at the fabrication shop utilizes a closed-loop system combined with an automated flocculent injection system and filter press. Spent water is collected and directed to an in-ground tank from which it is pumped into a funnel-shaped silo. Flocculent is added to the water in the cone, causing the particles to clump and settle to the bottom. The aggregated mass is then pumped to a filter press where the water is squeezed out until the particulates become a solid brick. Clean water is piped into the processing facility for reuse, while the bricks are transported back to the local quarry where they are laid as road base. “Stone processing can be done in a sustainable way” says Stenberg, “…and it’s important that we work toward that goal”. The city of Santa Rosa recognized Dennett Tile & Stone, Inc. with a Water Conservation Award in 2008.